The Wee Trio formed in Brooklyn in 2008 but sounds of New Orleans are sprinkled throughout their latest, Wee + 3. The Trio tells stories of impressive depth through jazz; it is the most narrative an album could get without having words. 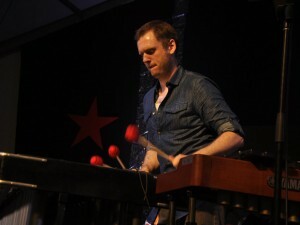 New Orleanian James Westfall’s vibraphone jumps out on many songs, particularly ‘Titan Up,’ a tribute to his new Nashville home and their football team. Local trumpeter Nicholas Payton joins the trio on ‘Sabotage’ and the seemingly Mardi Gras inspired ‘Belle Femme De Voodoo,’ as well as ‘No Justice,’ a song that runs the gamut from beautiful to downtrodden to hopeful. Other guest appearances on Wee + 3 include Fabian Almazan and Nir Felder. The final track, ‘Apparition,’ is a hauntingly beautiful song; immediately bringing to mind some kind of “other” world. Check out ‘Climb’ from the album below. 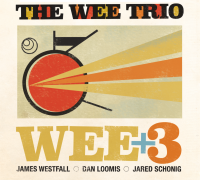 Wee + 3 is available now on mp3 from iTunes and Amazon. You can catch them live in New Orleans at Snug Harbor on November 19.